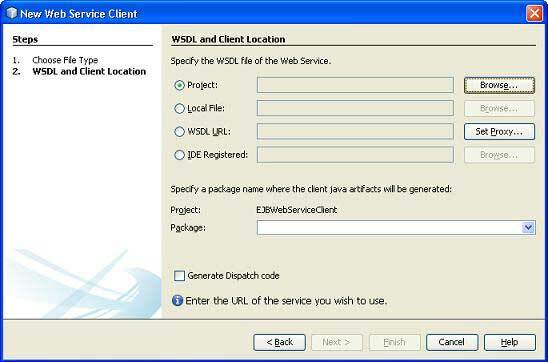 EJB 3.0 provides an option to expose session EJB as a webservice. @WebService annotation is used to mark a class as a web service end point and @WebMethod is used to expose a method as web method to client. Let us create a test EJB application to test blob/clob support in EJB 3.0. 1 Create a project with a name EjbComponent under a package com.tutorialspoint.entity as explained in the EJB - Create Application chapter. Please use the project created in EJB - Persistence chapter as such for this chapter to understand clob/blob objects in EJB concepts. 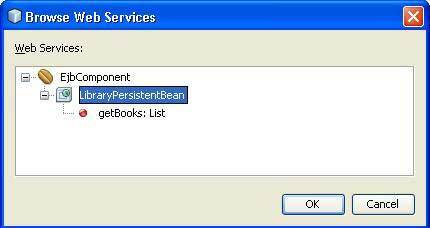 2 Create LibraryPersistentBean.java under package com.tutorialspoint.stateless. Use EJB - Persistence chapter as reference. Keep rest of the files unchanged. 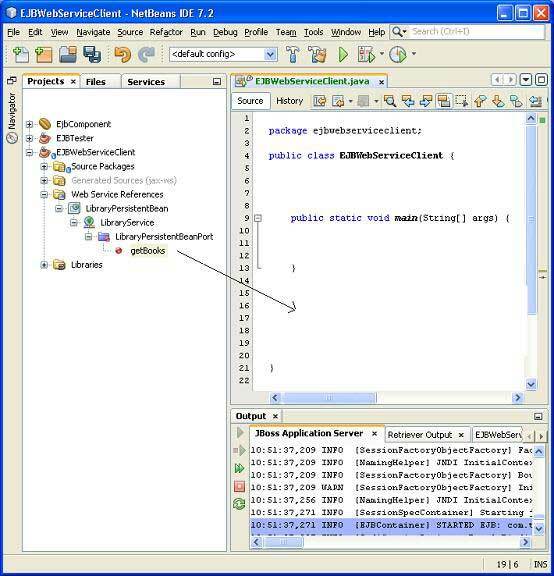 In NetBeans IDE, select ,File > New Project >.Select project type under category ,Java, Project type as Java Application. Click Next > button.Enter project name and location. Click Finish > button. We have chosen name as EJBWebServiceClient. Right click on the project name in Project explorer window. Select New > WebService Client. 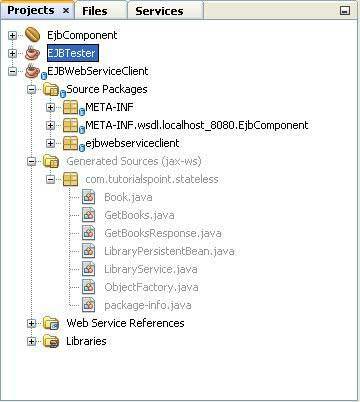 Add EJB component project's LibraryPersistentBean created earlier under WSDL and Client Location using Add Project button in compile tab. Click Finish Button. Verify the following structure in project explorer. Select Web Service getBooks web method as shown in the figure below and drag it to code window of EJBWebServiceClient. You will see the output similar to as shown below. Update the EJBWebServiceClient code to use this method. Right click on the project name in Project explorer window. Select Run. Netbeans will build the client and run it. Verify the following output.